Ligel is an American (Haitian born) interdisciplinary contemporary artist, visual art educator, graphic & web designer. He attended Savannah Arts Academy, high school of music, visual arts as well as the performing arts located in historic Savannah, Georgia. Ligel attended the Savannah College of Art and Design (SCAD) briefly before joining the United State Marine Corps in December of 2000. After serving four honorable years in the United States Marines Corps as a Marine Musician: Trombonist, Ligel was honorably discharge from active duty in December of 2004. He has a Bachelor of Fine Arts degree in graphic design (2011) and a Masters degree in Fine Art. He received his first master’s degree from the Royal Melbourne Institute of Technology (RMIT) University in Melbourne, Victoria, Australia in December 2013. His work engages with an on-going exploration of issues of identity, self and pop culture. Within his creative process, Ligel values an on-going facet of serendipitous combinations of colors, as with improvisation with sound, and often utilizing specific cultural symbols from various social realms to convey his message to the audience at large. From 2006 until 2010, Ligel worked at Savannah States University’s Upward Bound Program where he mentored and instructed high school students in both visual art and graphic design. 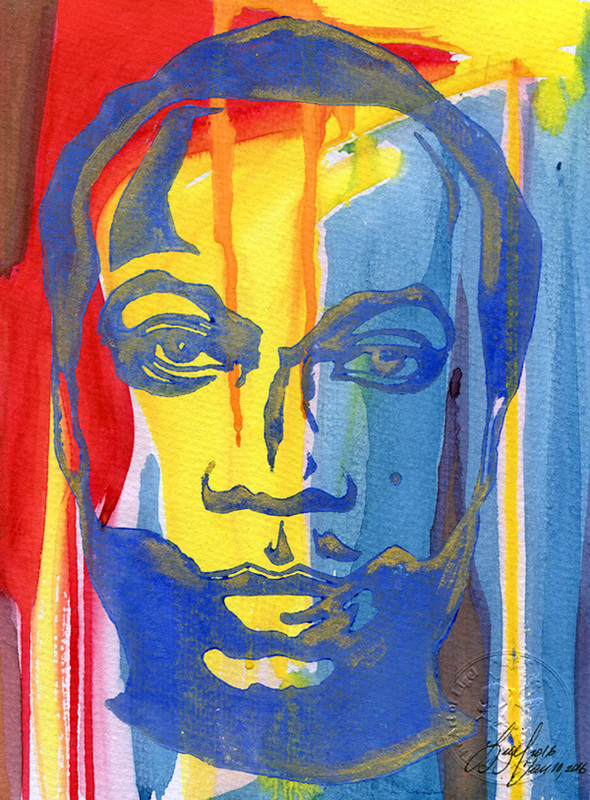 In 2006, Ligel was selected to be the official visual artist for the 2006 Jacksonville Jazz Festival. His painting entitled “Great Sounds” was selected as the official image that branded this musical event during that year. In 2007, Ligel became the artist in residence, board member for the Coastal Jazz Association and artistic director for the Savannah Jazz Festival until the fall of 2011. His works of art were used for the promotion of the Savannah Jazz Festival from 2007 until 2011. The Capital Jazz Festival also used one of Ligel’s musical themed artworks in 2007 as the promotional brand for that year’s event. Ligel has also collaborated with world renowned musician and educator, Mr. Wycliffe Gordon on various projects as well. 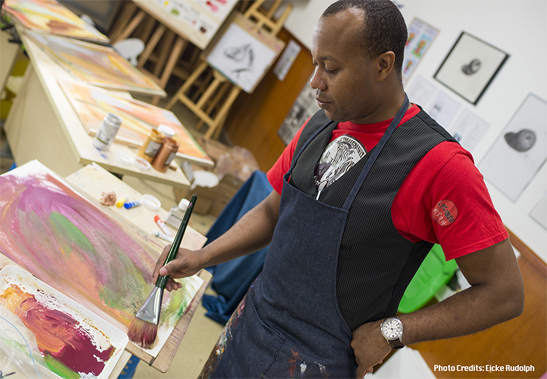 In 2011, Ligel traveled abroad to teach, study and to grow as a professional artist and educator. He has taught internationally in South Korea, Japan and his last teaching assignment was in China. Ligel has taught three content areas: ESL, graphic design and visual art. Specifically regarding teaching visual art, Ligel has taught the International Baccalaureate Diploma Programme (IBDP) Visual Art at a top local high school located in Shanghai, China from 2015 until 2017. From the 2017 to 2018 school year, Ligel taught visual art at a private secondary school in Beijing, China. He is currently working and living in New York City, New York, creating and finishing a second masters degree in Education/Curriculum & Instruction (M.Ed) from the University of West Florida.